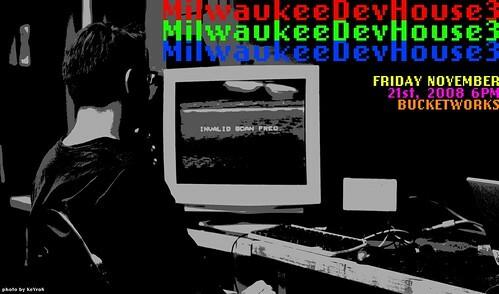 MilwaukeeDevHouse3 is Friday, November 21, 2008 at 6pm at Bucketworks in Milwaukee, Wisconsin. Posted on Sunday, October 12th, 2008 at 8:22 am. Subscribe to the comments feed. Both comments and pings are currently closed. Post on your own blog.